Gather local churches at a local or regional meeting for the purpose of applying Biblical truth as is summarized in the Cambridge Declaration. 2) To assist you in this, we will provide you with an audio-visual tape of Session I of the Here We Stand seminar. This approximately 40-minute audio-visual presentation features Dr. James Boice’s articulation of the current church condition, and the Reformation principles needed for our churches to turn away from the secularism of our day. 3) It is often important to host an event which will attract people’s attention to your work. 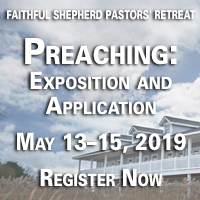 Examples of these are a local conference, seminar, or pastors’ luncheon to which you can invite the participation of a large number of local churches. The goal is to bring the local church community together to hear our message and to invite them to join us in this vital work. 4) Our goal is to draw a community together for the sake of the Gospel, and not to advance the cause of any particular denomination or church congregation. Working together on an event will develop bonding, trust, and unity in the Gospel as set forth in the Scriptures. It will give you a concrete goal and serve to mobilize leadership to carry out a plan. Ideally, your meetings will take place in various churches on a rotating basis. 1) Hold an evaluation of the past conference/seminar or a past get-acquainted meeting soon after the event. 2) Start to plan the next conference/seminar for a follow-up of the first. You may draw upon Reformation Societies speakers, your own local resources or any combination thereof. 3) Move forward with a monthly or quarterly schedule to accomplish an agenda of prayer, Bible study, and supporting fellowship. Rotating churches for meetings and events helps to further the participating congregation’s commitment to the work. Include a Reformation Bible Study as part of your meetings. This study has been developed as a result of Dr. Roy Blackwood’s study of the Reformation in Scotland. This is a particular kind of study that was developed by Calvin, Knox, and other Reformation leaders throughout Europe. They said this study was necessary and essential to the continuing reformation of the Church in order that she would keep on being grounded and centered in Sola Scriptura, and that pastors would continue learning and growing and challenging each other in their study and exposition of God’s Word. A video illustrating this process is a part of the "Getting Started" packet and is available from the Alliance. It is approximately 30-40 minutes in length. Center a meeting around this study for further use in equipping, emboldening and encouraging pastors and teachers. This study has become the centerpiece of developing Reformation societies and developing a modern reformation in Christ’s Church. 4) Focus your efforts on equipping members in their work of a Gospel of Grace ministry and reaching out to influence other churches and leaders for the modern reformation of Christ’s Church. Challenge yourselves to broaden your influence by reaching out to leaders of churches who can be influenced and encouraged in Reformation principles, and by crossing denominational lines to avoid a restricted impact. 5) Plan a meeting in order to bring focus, exegetical study, and support to your local society. A luncheon for local interested pastors and leaders is ideal to hear this message and meet the national leadership. After the Reformation Society is organized and is focused on encouraging further involvement especially by the pastors and elders in the Reformation Society, you will develop more leaders, both ordained and lay, to participate and extend the work in depth and breadth. 1) Have an event which is intended to bring pastors and their families together for a meal and fellowship. 2) Develop a conference/seminar event using local pastors to present the assigned theme such as the doctrines of Grace, Providence, Prayer, Attributes of God, Sovereignty of God, etc. You can have a presenter from outside or host a locally directed event which would help the community to identify with their own pastors and to have confidence in the ordinary means of grace. 3) Invite Reformation Society pastors to exchange pulpits on Sunday, Wednesday, or special events. Preaching the Gospel in each other’s churches strengthens the bonds, brings prayer support for each other’s congregations and makes Gospel preaching exciting for the local church community. Think of the selection of Gospel pulpits in London during the 17th century. Over 40 pulpits were filled with great men of historical faith who shared their pulpits and their burdens as God brought in a harvest to His own glory. Our plan is to develop and support the local Reformation Societies across the nation. Contact Bob Brady (rbrady@alliancenet.org, 215-546-3696 ext. 33) for assistance. Reformation starts in your local church community. The Reformation Societies are the means to achieving the renewal of the Church, which is our Lord’s Bride. Furthermore, our Gospel is timeless in its message, relevance, and sufficiency for the building of Christ’s Church, the same yesterday, today, and forever. The Biblical standard of Gospel preaching, teaching and worship are embodied in the Solas of the Protestant Reformation and are now stated in the Cambridge Declaration of 1996. For in Scripture alone, we learn of a salvation that is by grace alone, received through faith alone, because of Christ alone, and in all this, to God be the Glory alone. Here We Stand, like-minded in His service and confident in His Work.